American Scientific Balance SP120 Cat. No. 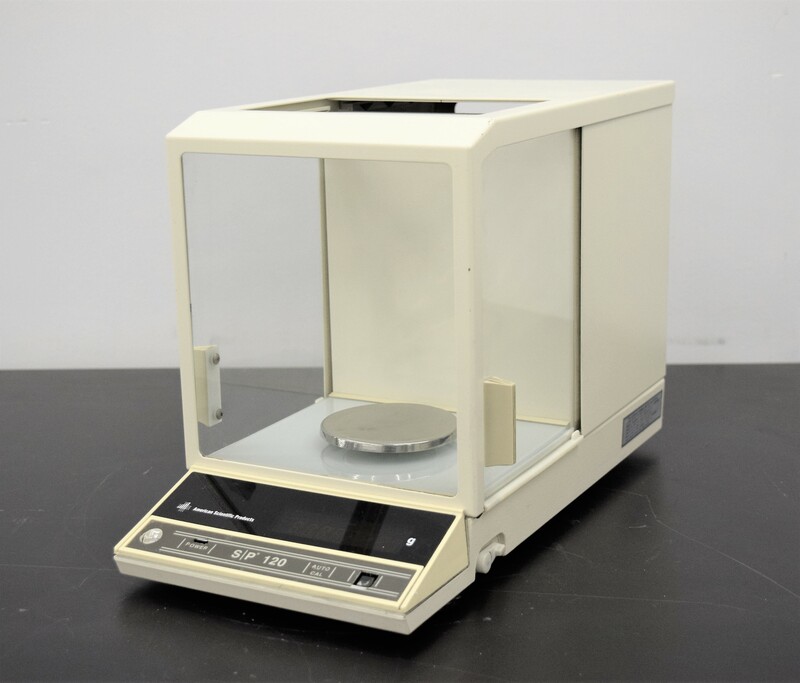 B1240-2 Electronic Balance Scale . New Life Scientific, Inc. In good cosmetic condition with some minor wear; missing is the top glass panel. The scale won’t tare out or weigh, when powered on the display reads “P fail”. Included is the weighing pan and the two glass sides are in great condition. Our in-house technicians did a visual inspection of the equipment and powered it on. The display gives a read-out of “P Fail”. Therefore it is recommended to be sold for parts.